THFWS: Sleight of Hand, Sleight of mind: WARNING! ADULT CONTENT/NOT FOR WORKPLACE!!! What Frederick has finally convinced Mark of is that Sentience and Intellect essentially operate independently of each other. Sentience is the ability to feel, perceive, and have self-awareness through emotional experiences. Some would define it additionally by adding references to tool-making (which primates already do) and manipulations of complex and abstract thought processes. It is in fact Man’s presupposition of the validity of certain measurements of certain types of intelligence and language abilities which creates a built-in preoccupation of being linked to any presupposed level of consciousness or awareness that has crippled Man’s abilities to communicate without words. Mark had begun to document this in a very occult fashion using his laptop as a video camera, but he admits that a great deal of what has been presented is completely subjective and interpretive. What is most intriguing is how Mark maintains that the most complex emotional and intuitive ideas that would appear to present the greatest challenge to verbal or written communication are easily transcended telepathically. If all this sounds like mouthwash for pigs, suffice it to say at this point, that what has been observed is repeatable, and can be duplicated in ways that use controls and verification to support certain hypotheses. So there, for now, OK? still buoys my sinking soul? It is not my nose that remembers the smell of your hair. that recalls the taste of your lips on mine. It rains every day in my heart. In this moment, as you read this. Merlin sits at his kitchen table, staring at twelve capsules he has just finished filling. Somehow, in Merlin’s kitchen, the four-beam Ohaus scale, as well as the other assorted laboratory glassware and utensils don’t particularly seem out of place. The gallon Ziploc had nearly one kilogram of what Merle had come to refer to as “The Wisdom” or “The Knowledge of Good and Evil. His laboratory test results and a little “sampling” had convinced him it was not only safe, but quite effective. Tonight, he would be testing its effectiveness in achieving the desired effect on Ash, Kali, and himself. A little over one year ago, he had begun research into a new form of anti-depressant that was supposed to revolutionize Psychotherapy. The idea was to not only raise serum serotonin and norepinephrine levels without overloading the rest of the body (particularly the enteric tract), but to also trigger release of several very interesting polypeptides related to a sort of non-euphoric enthusiasm, spontaneous joy, and an almost childlike renewal of interest in routine activities of daily living. The most remarkable aspect was that it showed indications of being able to channel critical thinking and problem-solving in a way that encouraged its users to objectively reflect upon self-sabotage, and inconsistencies of behaviors, as well as more effective methods for success in achieving desired goals. With a minimum of counseling and guidance, the patient literally teaches themself as they learn and evolve, and new neuron pathways are established. The psychiatric community long ago abandoned the concept of actually counseling their patients as long as they could continue to write more prescriptions, see more patients, and make more money. This drug could conceivably relegate the psychiatrists to the position of Lifeguard, Referee, or Hall Monitor. That drug was not what was on Merlin’s kitchen table. Although research was still in the earliest stages concerning the development of PharmaCorp’s hottest prospect, he also discovered an analog isomer of the desired drug that possessed all the above characteristics, but also produced LSD-like visions, and universally triggered an awareness of the presence of a supernatural, or higher being as well as the connectivity of all beings and forms of existence, resulting in a euphoria that lasted long after the administration of the drug. Similar results from electrical stimulation to the left parietal region of the brain producing a “God Effect” or “God Phenomenon” were transient and short-lived. This showed all the promise of unlocking Enlightenment…maybe permanently. Once Merle recognized the potential importance of this discovery, he discretely produced two kilograms of it, and had the other kilo discretely “put away for safekeeping”. As little as one hundred micrograms could produce threshold effects. He knew better than to reveal those findings to PharmaCorp, since any sort of visions would be considered undesirable side-effects, and the spiritual awakenings would be similarly ill-received. For instance, the word Euphoria is always listed as an undesirable side effect…why? What is wrong with feeling Good? Even if we have every good reason to feel bad, what good comes from feeling bad? If there is a happy ending out there somewhere, aren’t we more likely to recognize, experience and appreciate it if we are already feeling good? Why do we let our temporary external circumstances determine not only our mood, but also our image, self-concept, or perception of self-worth to the point where we lose our ability to be able to pursue happiness? “Too close to schizophrenia for people unable to tell the difference between Madness and Genius.” He mused. “Look at what happened with Dr. Timothy Leary; he recognized the tremendous potential of LSD, but a few people had bad reactions, (usually because it caused them to recoil in fear when they realized what evil monsters they had lurking inside themselves). Although it was initially intended to be used in conjunction with close supervision and therapy, it was not just too much fun for America’s Puritanical, pleasure-hating society…It had all the earmarks of Beelzebub and Revolution to the fearful eyes of the Powerful…. The Wisdom was just so much more…all initial indications were that it truly enhanced and enlightened Consciousness, Awareness and Sentience in a way that was powerful. Ash, Kali and Merle had already learned to combine Tantric, Wicca, and Shamanism in a way that was producing tangible results in all their lives. The Fruit of the Tree of Knowledge of Good and Evil had gotten Adam and Eve banished from the Garden…That Fall from Grace had cursed Man to an endless cycle of Desire and Suffering because they lacked the ability to separate the two. The Wisdom might just be able to empower Man to walk with God. Merle suddenly decided it was time for him to Dress for the occasion…. 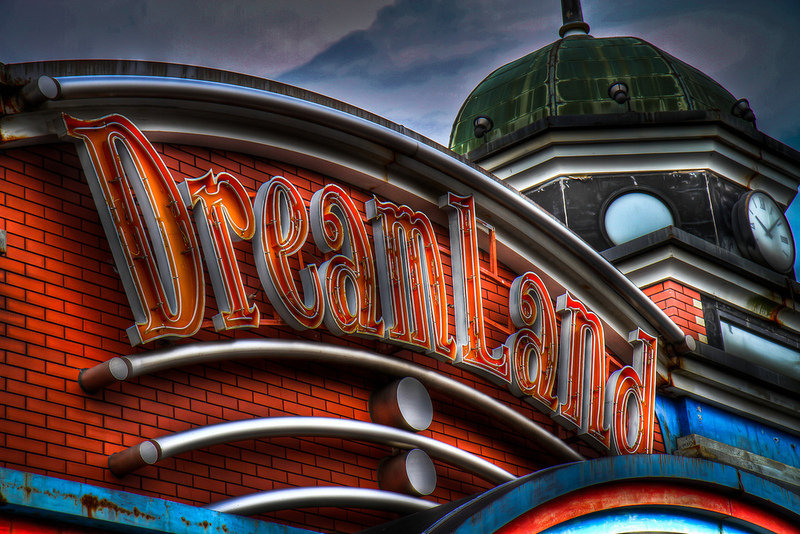 I promise it will be worth the wait…See you tonight in Dreamland.